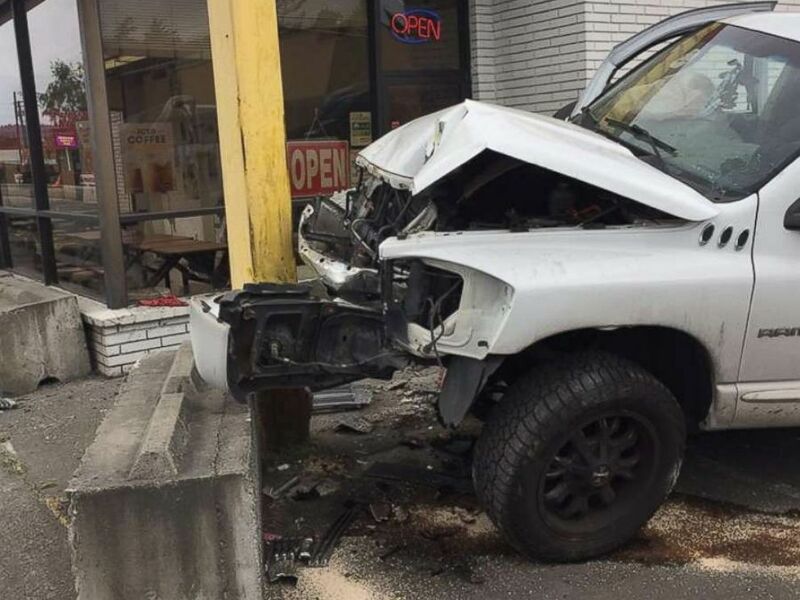 Two customers had to dive out of the way as a truck slammed into a donut shop in Washington state Friday morning. The driver is now under arrest for suspicion of driving under the influence, police said. The video, acquired by Seattle ABC affiliate KOMO, shows a white pick-up truck fly around a corner, drive off the road and careen through the parking lot straight into the front of the shop in Auburn, Washington, about 15 minutes east of Tacoma. The two customers, a man and a woman, may have concrete curbs installed outside the shop to thank for their lives. 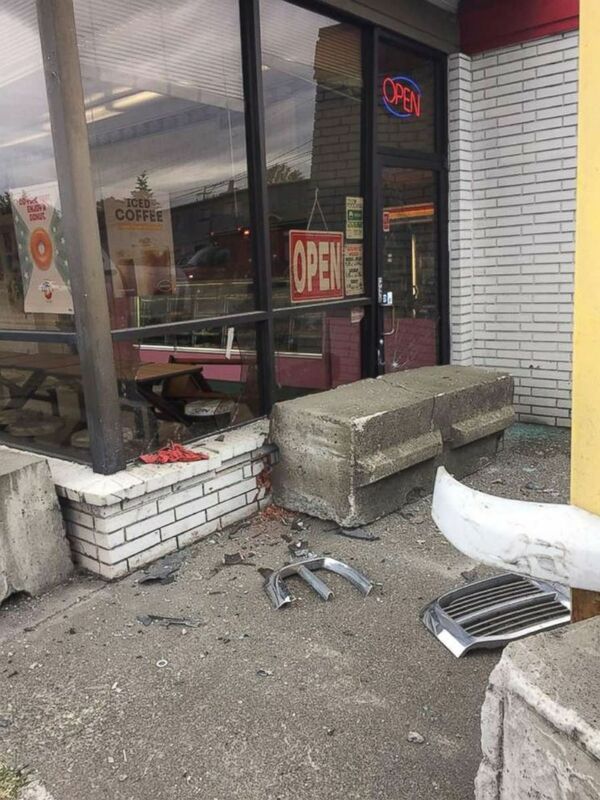 A driver was arrested for DUI on Friday, June 8, 2018, after he slammed into the front of a donut shop in Auburn, Washington. 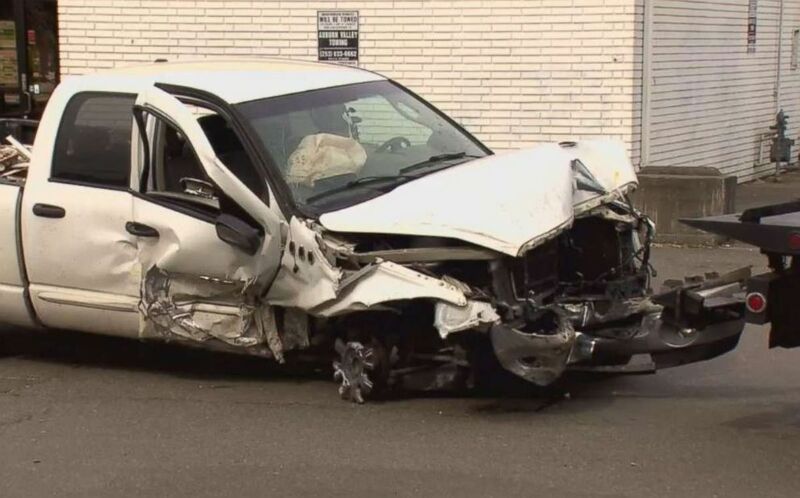 The wreckage in front of a donut shop after a driver was arrested for DUI on Friday, June 8, 2018, when he slammed into the front of the store in Auburn, Washington. Donut Star told KOMO they installed the concrete barriers after several previous crashes at the corner. No one was injured in the accident, though the woman at the front of the store is clearly seen stunned following the near miss. The Auburn Police Department did not name the man who crashed into the store, but said a “male in his 40s” was charged with DUI.